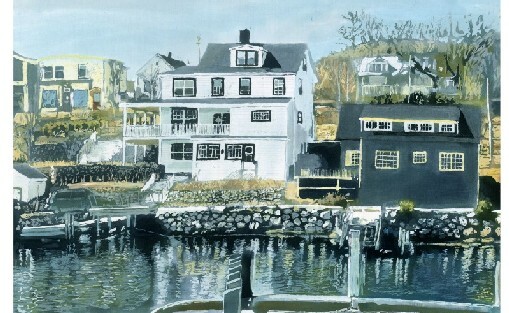 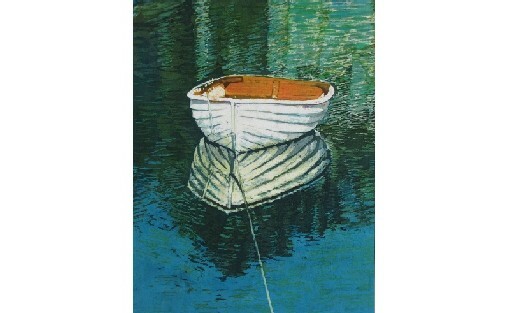 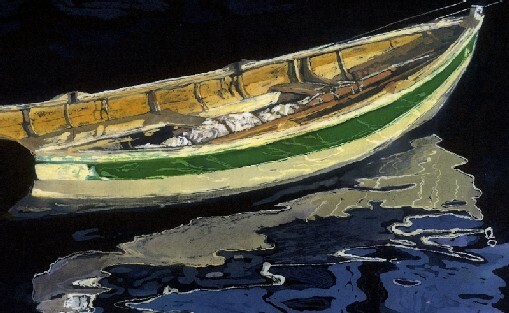 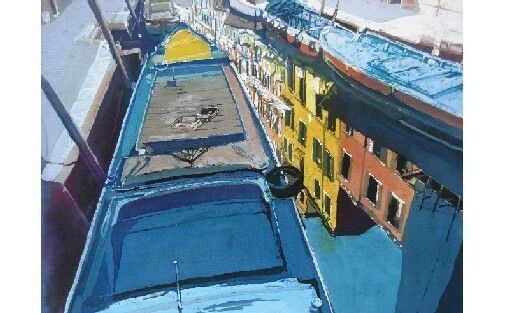 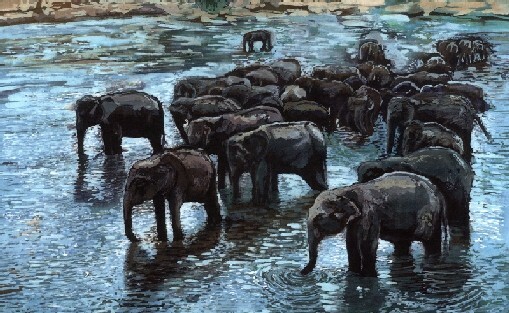 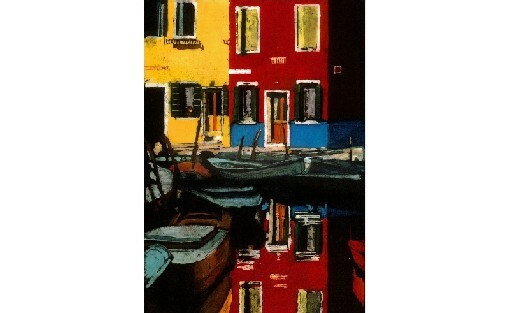 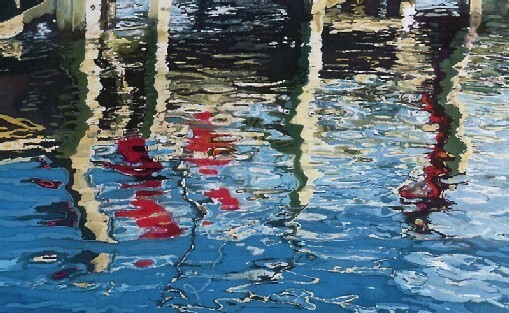 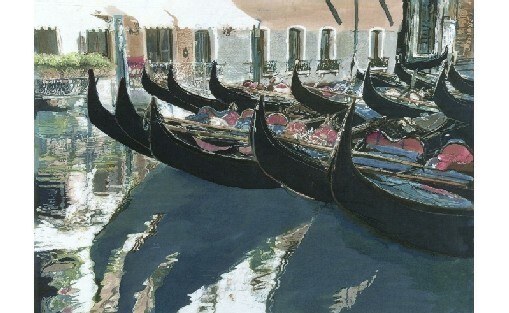 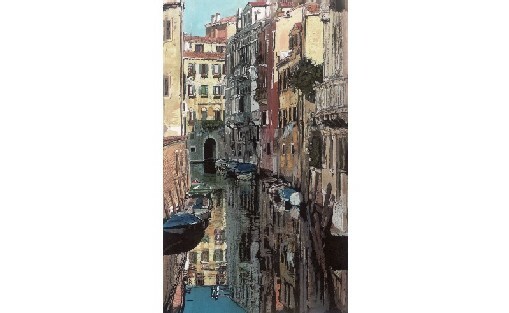 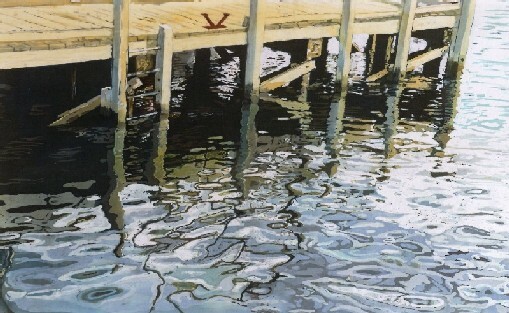 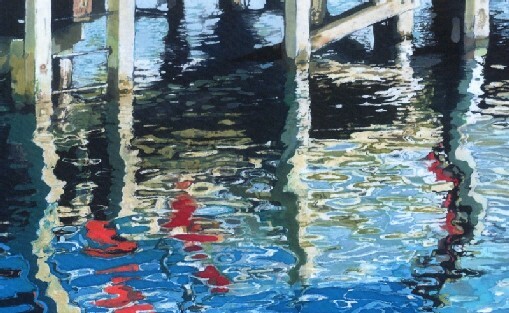 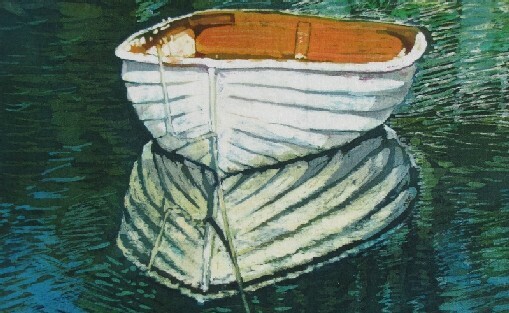 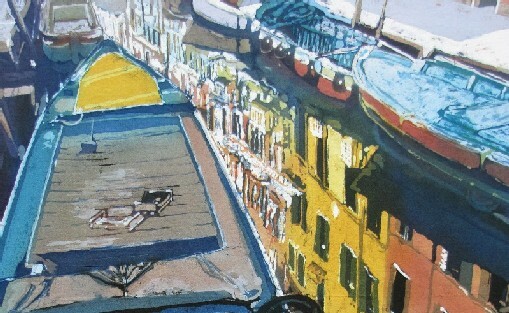 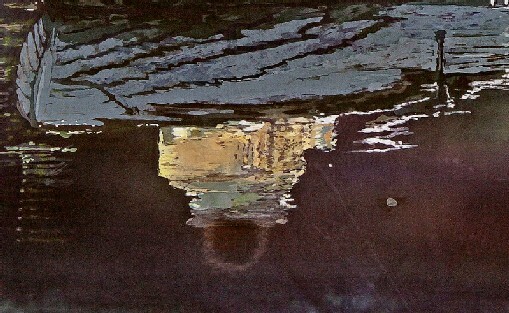 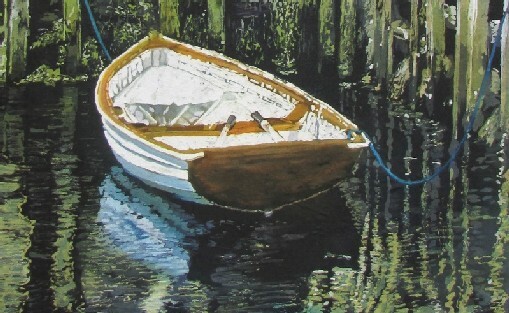 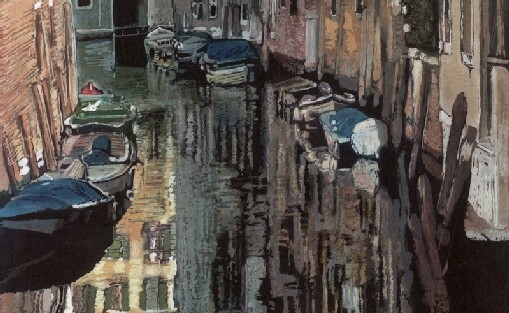 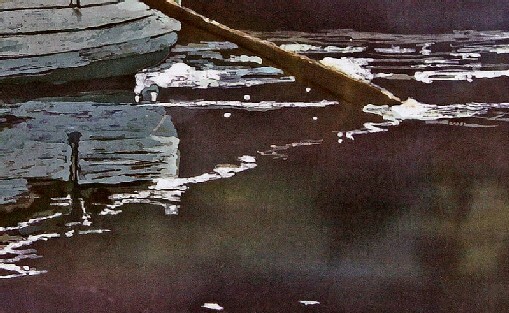 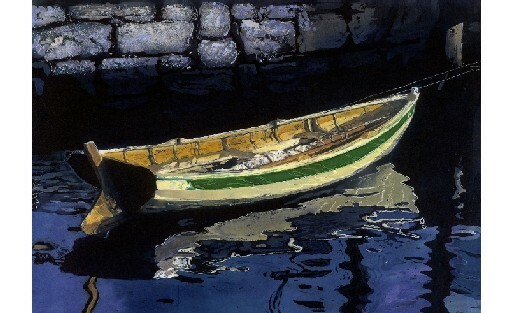 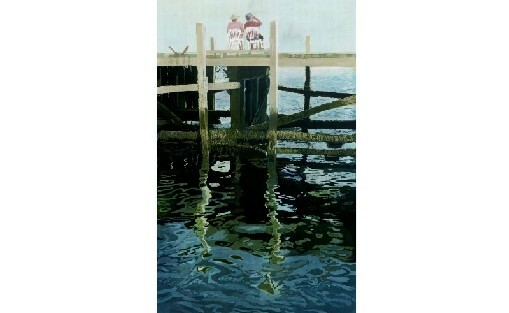 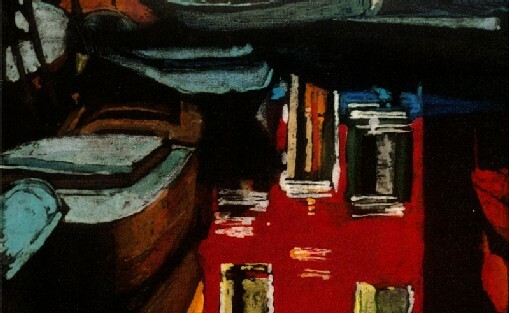 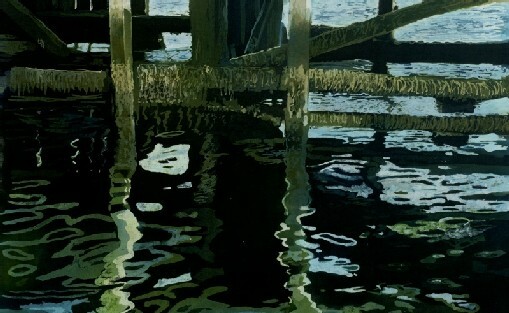 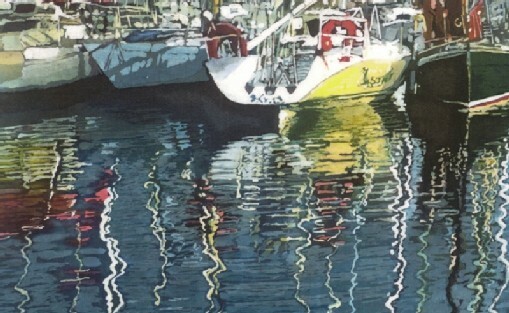 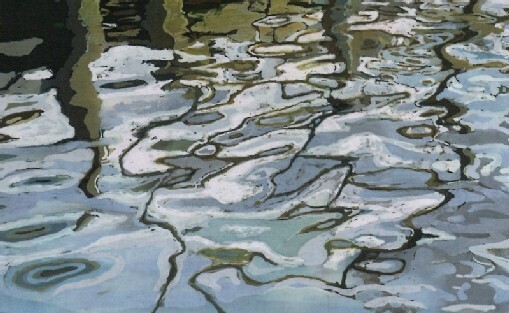 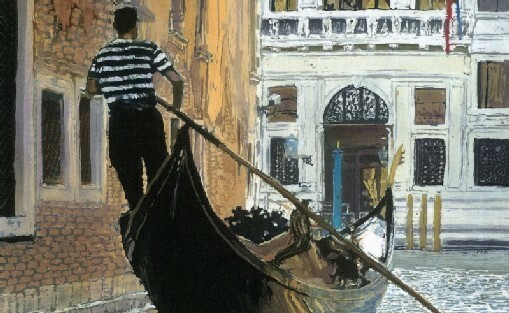 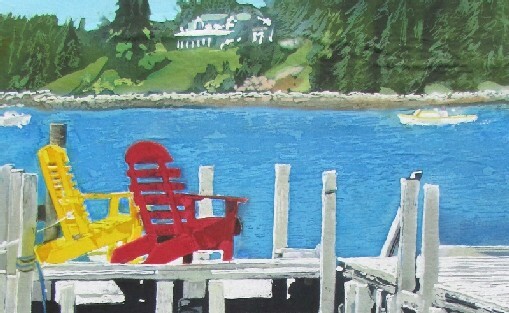 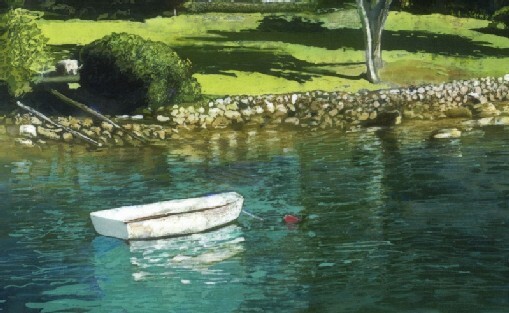 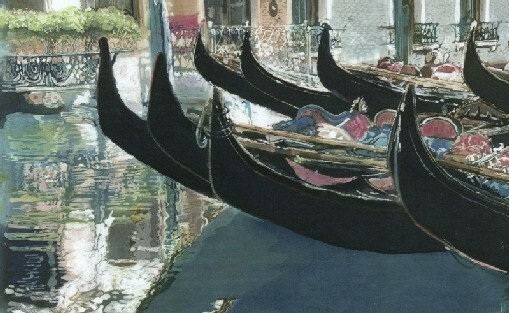 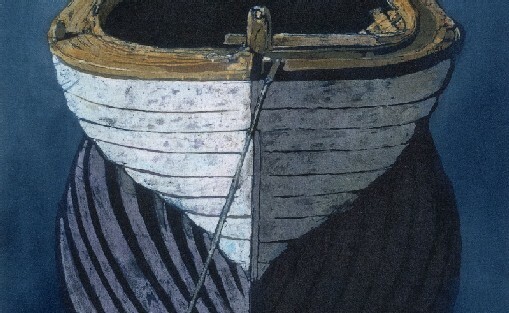 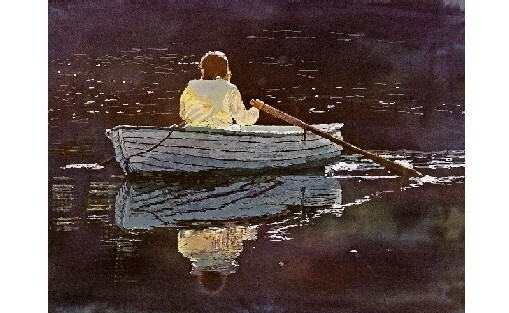 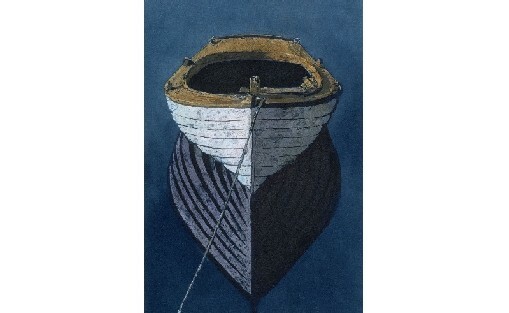 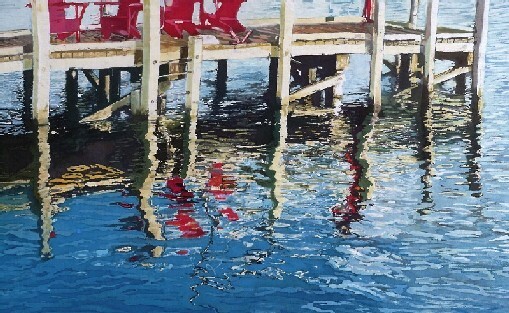 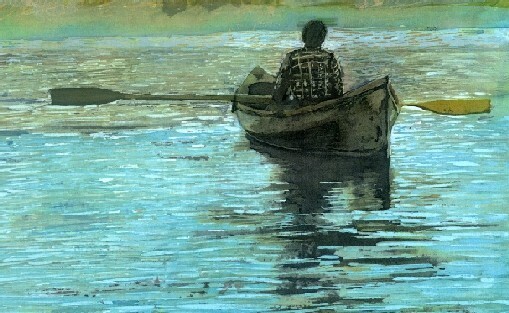 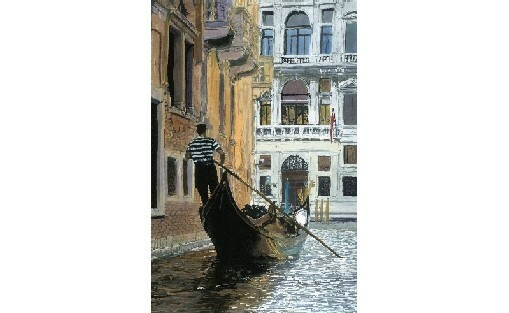 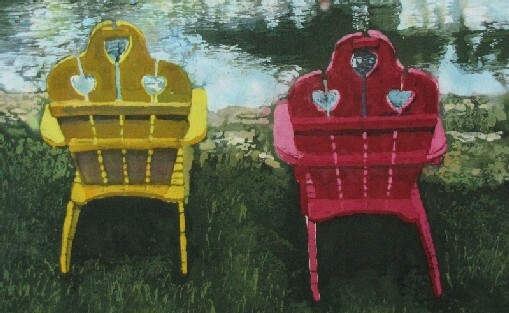 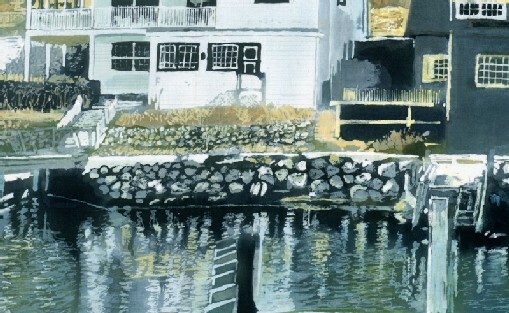 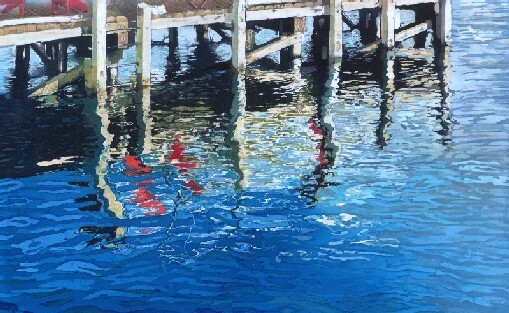 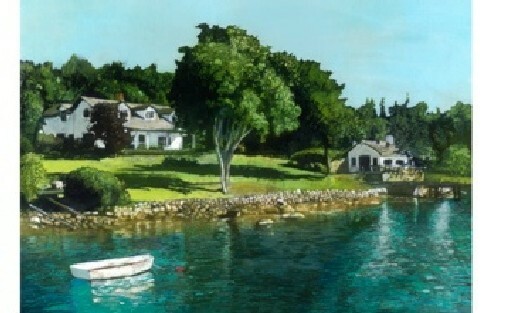 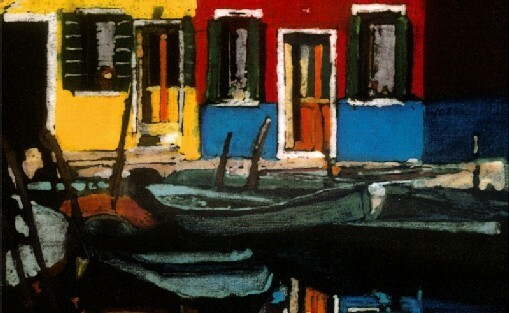 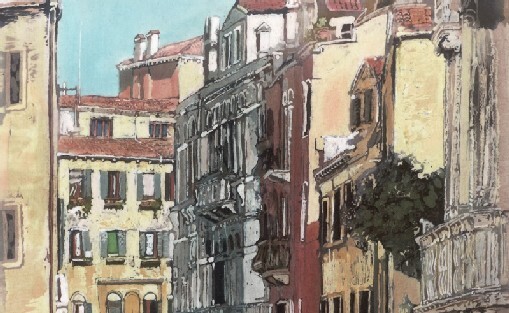 Batik paintings of reflections of boats, wharfs/docks and buildings. 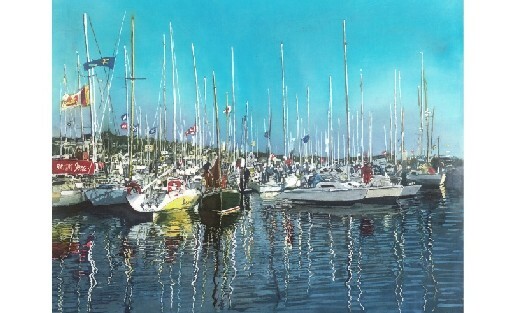 A flotilla of sailboats rafted together after a race with the reflections of their hulls and masts in the water. 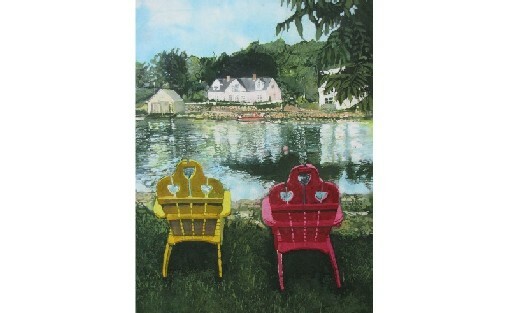 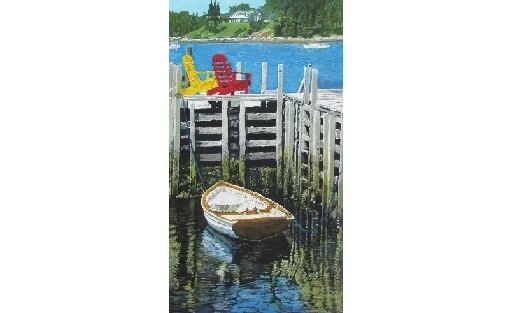 Two Adirondak chairs, and the reflections of a friend's wharf and a lapstrake rowing boat, in Chester, Nova Scotia, Canada.